Over 150 carriages, pictured, described and categorized for your review and information about who, what, when where and how of the carriage world. Have you seen a skeleton brake? What are the origins of the chariot? Did you know a goat can pull a cart? What is involved in proper restoration of a carriage? 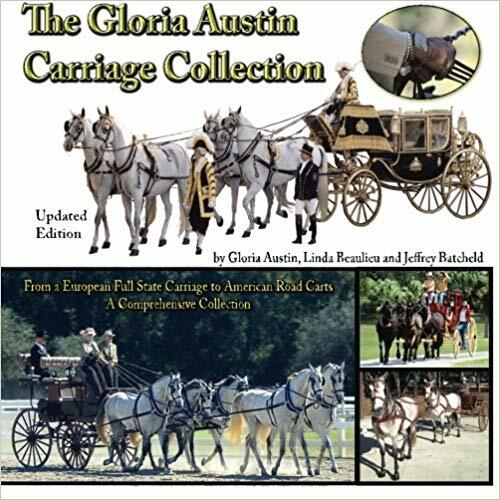 Gloria Austin, an award winning preservationist and carriage collector shows the world of rare, unique and elegant carriages of the World.